The sweeping plan to cut carbon pollution from power plants by 32% by 2030 is certain to face a legal challenge and GOP opposition in Congress. In what President Barack Obama called “the biggest, most important step we’ve ever taken to combat climate change,” the White House has released its final plan for reducing greenhouse-gas pollution. 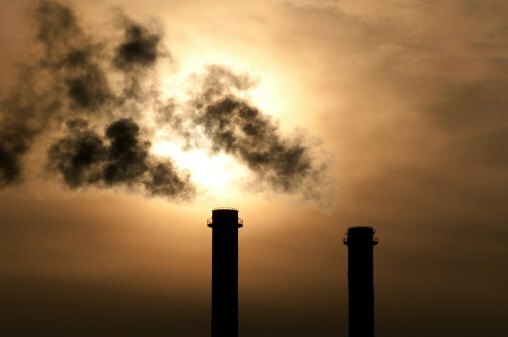 The retooled version of the administration’s Clean Power Plan, first proposed a year ago, aims to cut carbon pollution from power plants by 32% by 2030, compared with 2005 levels, while rewarding states and utility companies that move quickly to expand their investment in solar and wind power. The regulations were drafted by the U.S. Environmental Protection Agency. “Today after working with states and cities and power companies, the EPA is setting the first ever nationwide standards to end the limitless dumping of carbon pollution from power plants,” Obama said Monday. “We’re the first generation to feel the impact of climate change and the last generation that can do something about it,” he said. Under the plan, CNN reports, the administration will require states to meet specific carbon emission reduction standards, based on their individual energy consumption. The plan also includes an incentive program for states to get a head start on meeting standards on early deployment of renewable energy and low-income energy efficiency. Critics say the earlier proposed regulation was a possibly illegal federal overreach that would impose costly burdens on utility companies and their customers. Some states have vowed to take the administration to court over the new rules and Senate Majority Leader Mitch McConnell has urged states not to comply with the plan. “This plan is all pain and no gain,” a spokesman for the National Mining Association told CNN. But EPA Administrator Gina McCarthy said the plan would cost a total of $8.4 billion with total benefits expected to be $34 billion to $54 billion.